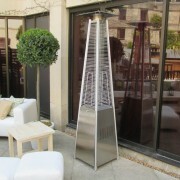 The Athena patio heaters are made of metal with a central glass tube to house the flame. 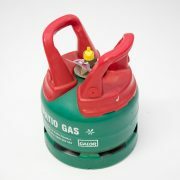 Fitted with wheels for easy moving, this product is supplied with a 5kg gas bottle which will provide heat on full power for 6 hours, or on medium power for 10 hours. The gas canister is housed within the unit out of sight. 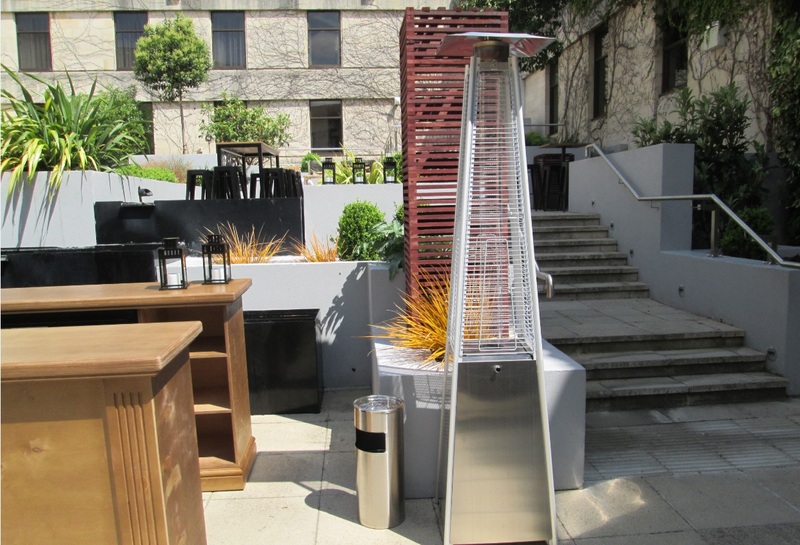 PLEASE NOTE: The Athena patio heater should not be used during wet weather as the glass tube which houses the flame can/may crack. 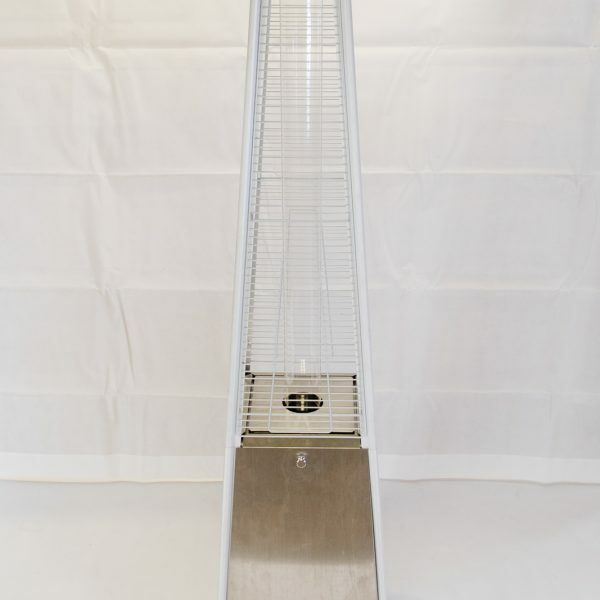 A super safe product, the patio heater has an anti-tilt safety cut-off mechanism so you can be assured that your guests will be kept safe from accidents. 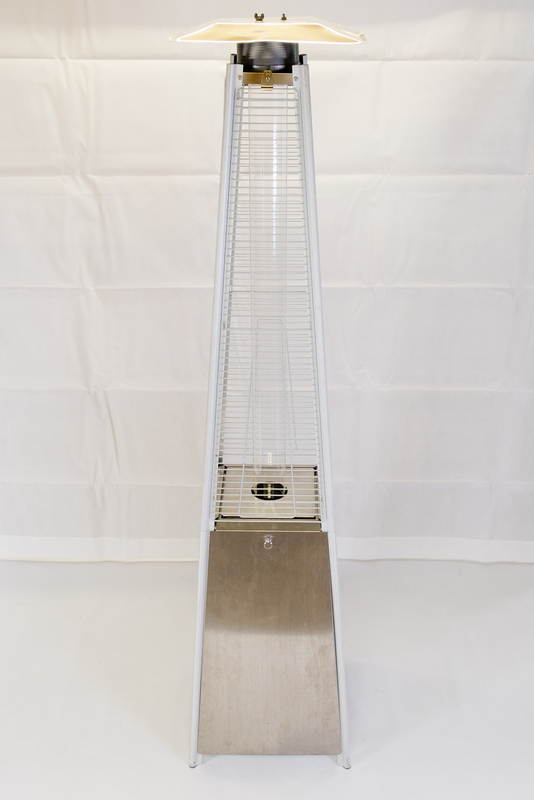 With its sleek modern look, the Athena Patio Heater is stylish and yet unobtrusive. 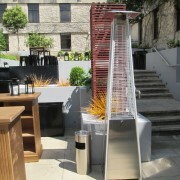 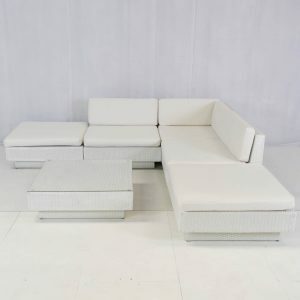 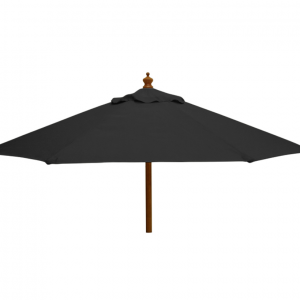 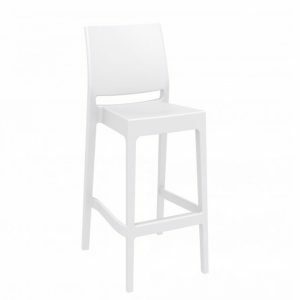 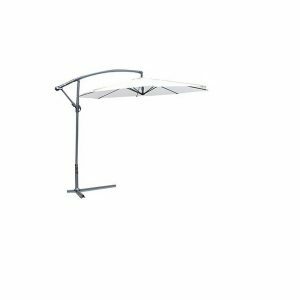 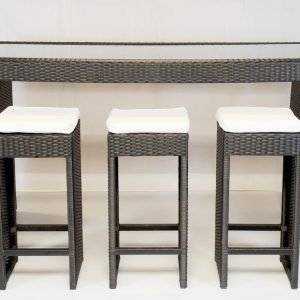 Wonderful for a balcony or terrace or any outside venue where guests will congregate to chat and chill out. 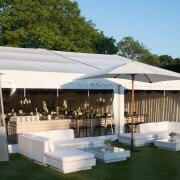 When planning an outdoor event in the UK, the biggest problem can be the unpredictable British weather! 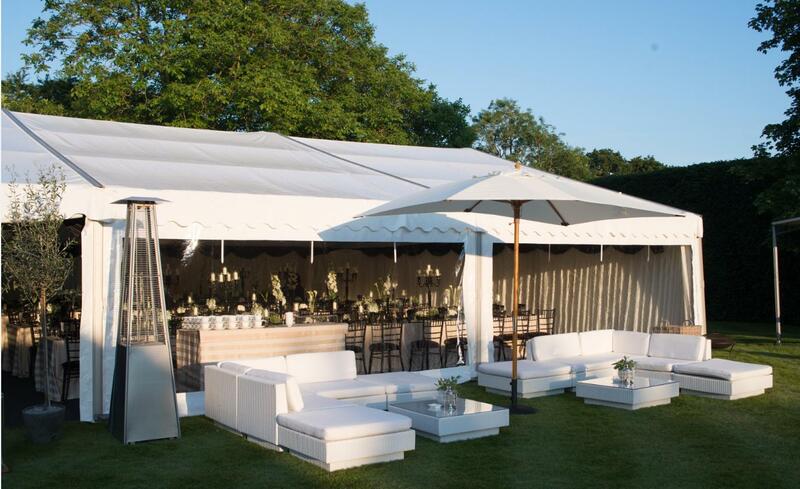 Even in summer, the evenings can quickly get chilly and you certainly don’t want your guests to feel cold. 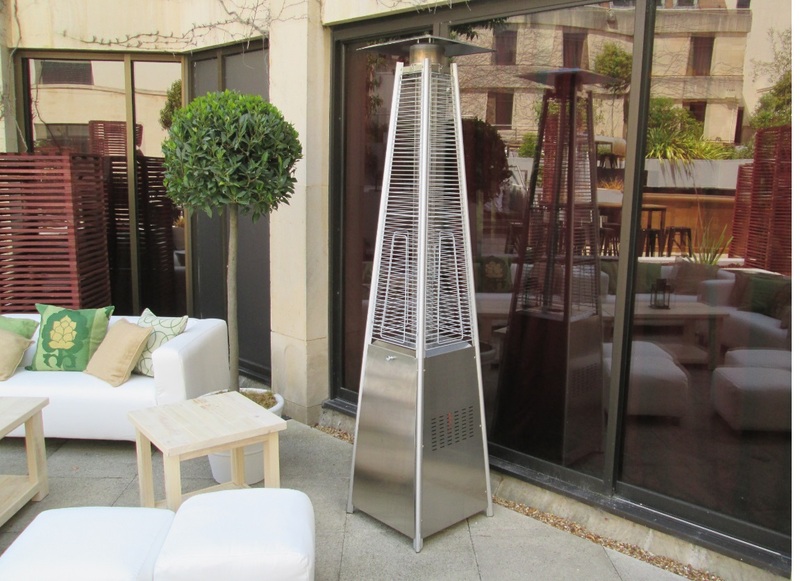 Keep your guests toasty and warm and hire our Athena Patio Heaters; a must-have outdoor furniture hire product for a wedding, party or VIP lounge.